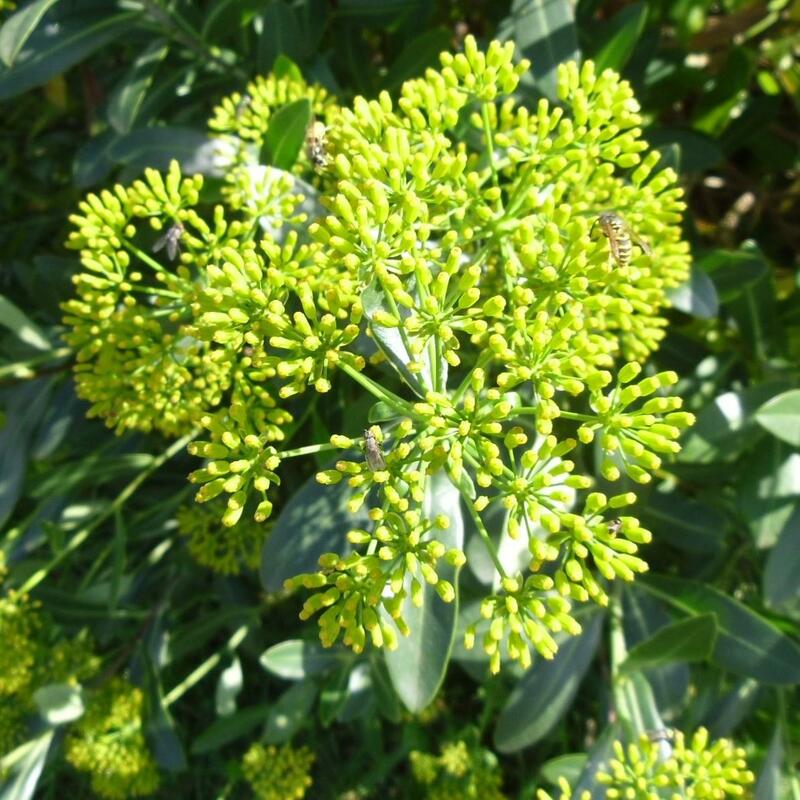 Bupleurum fruticosum is commonly known as Shrubby Hare's Ear. 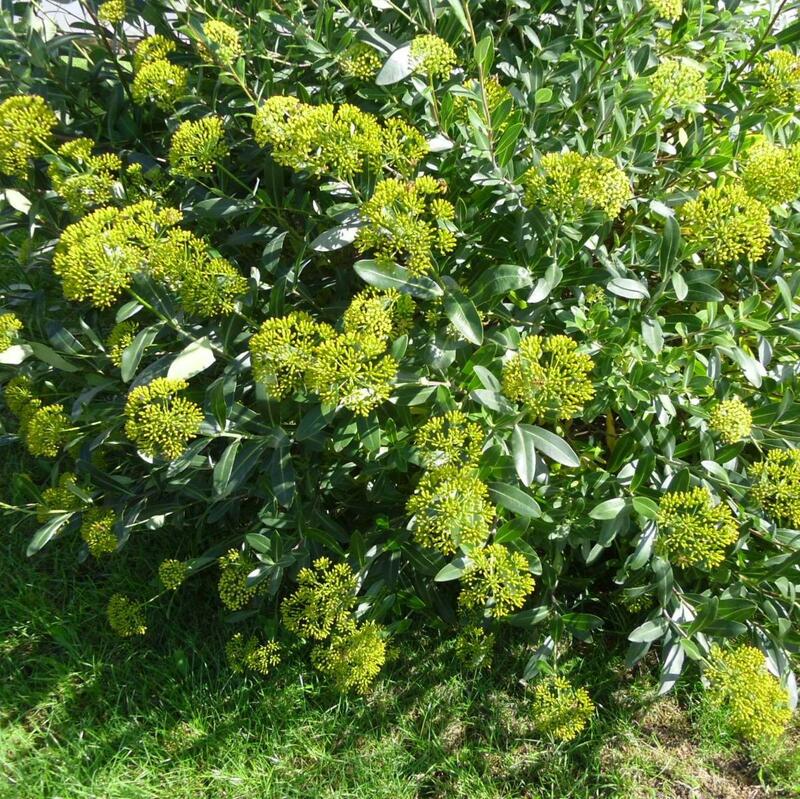 An evergreen shrub in the apiaceae or umbellifer family of bushy habit up to 2m tall. 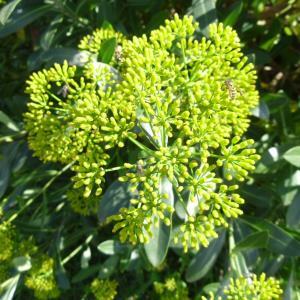 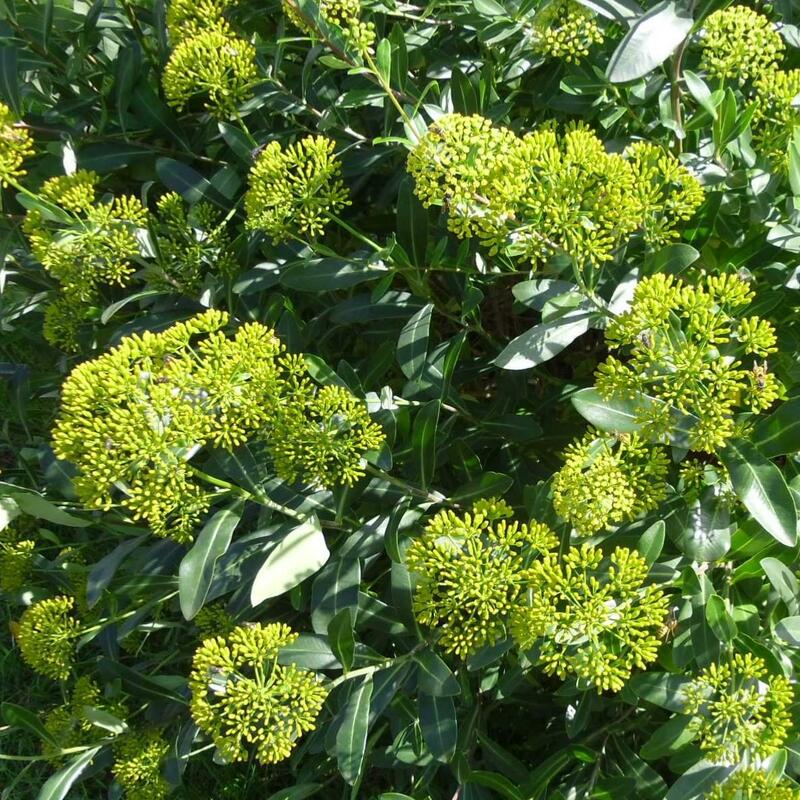 Bupleurum fruticosum has a simple obovate blue-green leaf, quite unlike most of its close relations and during Summer and early Autumn it produces in abundance umbels of tiny yellow flowers, beloved of all manner of pollinating insects. 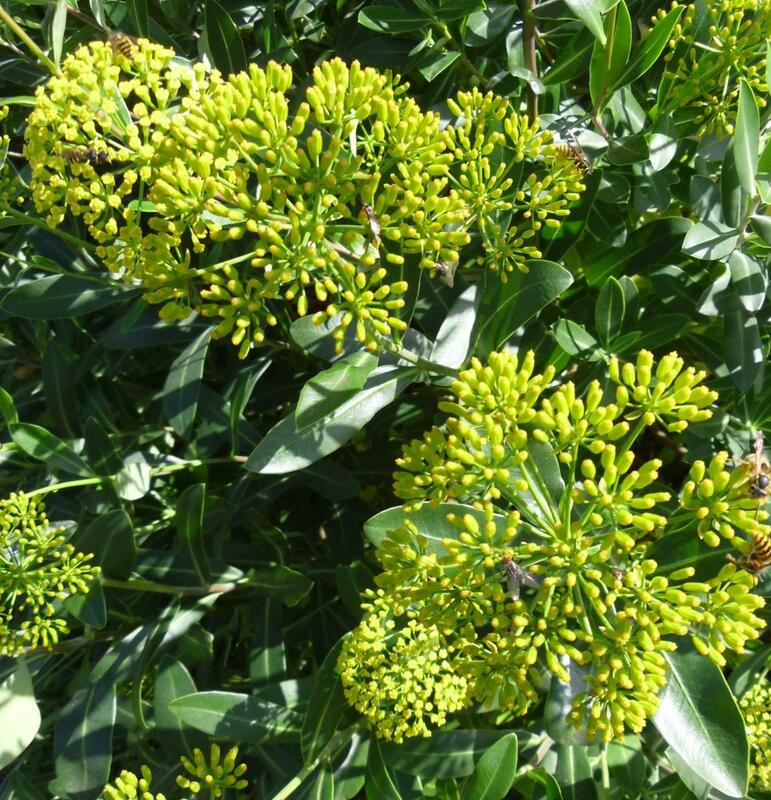 Grows best in full sun in a well drained soil where it will tolerate drought well.